This pendant should be a part of your jewelry box. This sophisticated pendant is in the shape of a lady, giving the pendant a feminine look. You can wear this delicate piece of jewelry to any party. 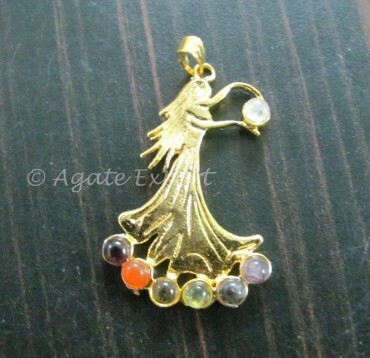 Agate Export brings you this pendant at a minimal rate.